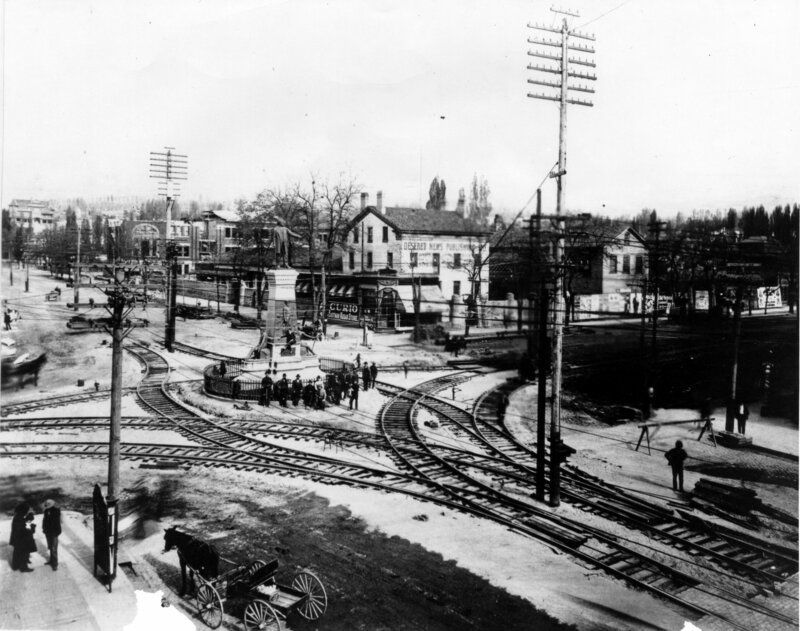 Description Photo showing the intersection of Main Street and South Temple and Main Street, with Brigham Young statue and street railroad tracks, in Salt Lake City, Utah. The Tithing Office/Deseret News building stands beyond (site of Hotel Utah). Caption: "Streetcar construction, 1902"